Whenever I write up a grocery list the only specific fruits I include are apples + bananas, beyond that I just write “whatever is on sale”. 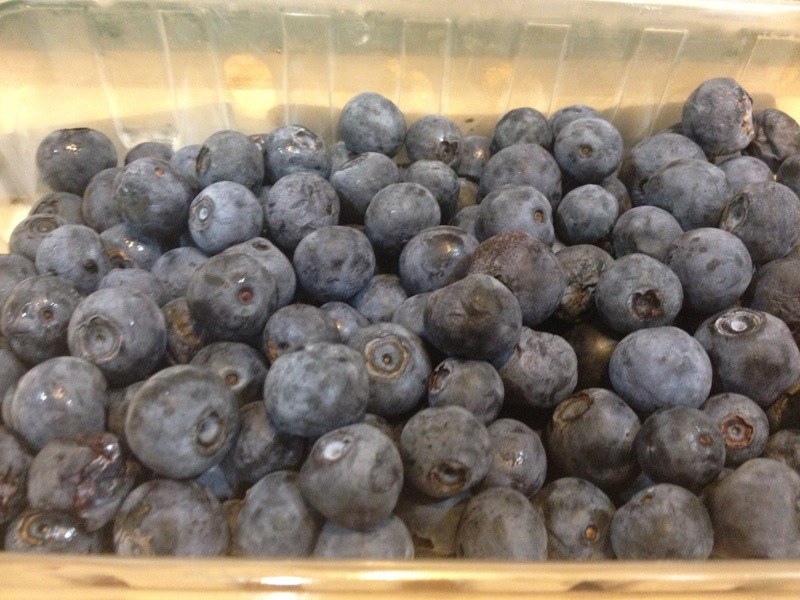 This week it was blueberries. I got a good sized container of blueberries for $3 and was already dreaming up ways of how I could use them beyond the standard yogurt mess. Blueberry pancakes, blueberry shortcake and blueberry muffins. Muffins are one of those delicious looking baked goods that pretend to be healthy when in reality they are very high in calories and loaded with sugar. Generally speaking you are better off choosing a donut than a muffin from your local bakery. 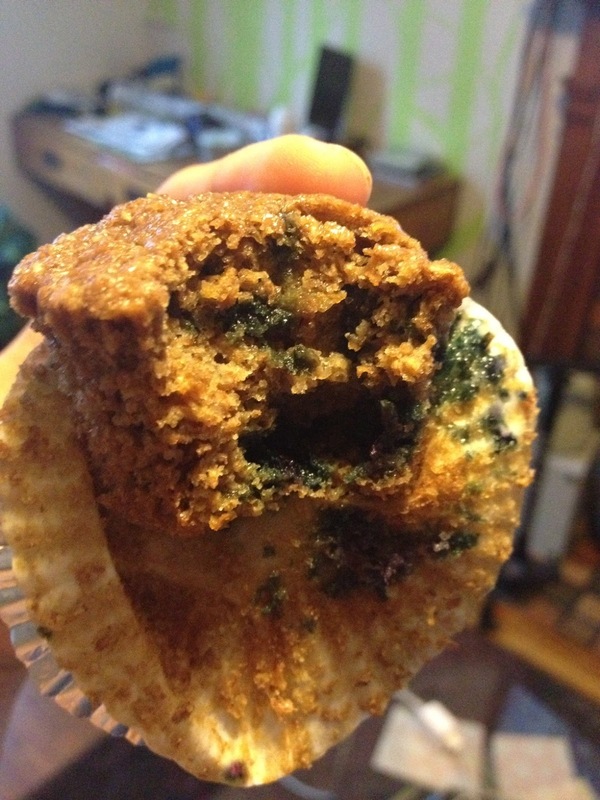 I was determined to make a slightly healthier muffin that could still pass as a sweet treat. After searching Pinterest (of course) for inspiration I realized that many of the so called “healthy” recipes I was finding were still using up to 1/2 c. of canola oil and I was not okay with that. I read through at least a dozen recipes to get a good ratio of liquids vs. dry ingredients and decided to play around on my own. Since I was flying blind I just wanted to make a small batch, I used a mini muffin tin to make 12 bite sized muffins (and actually had a little batter leftover). In a measuring cup mix together the wheat bran + chocolate milk. 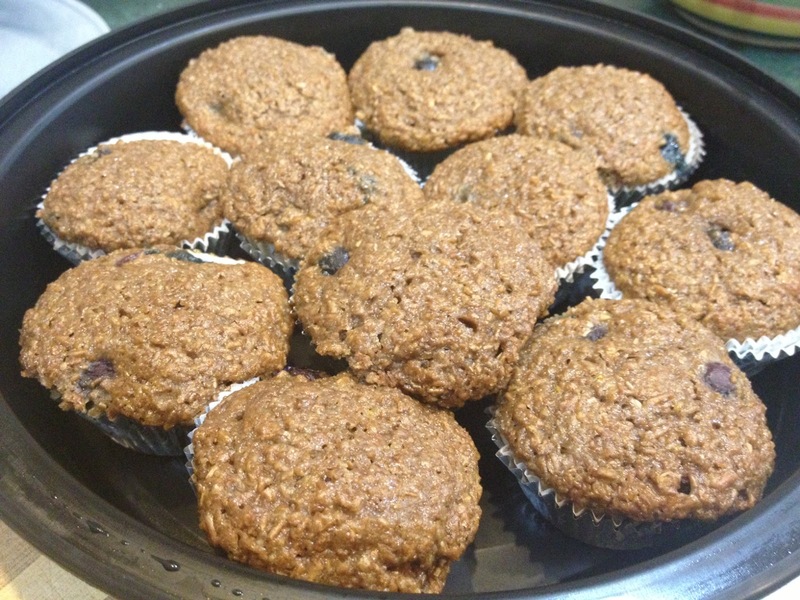 This was a step I noticed in almost all bran muffin recipes so I did it as well. I only let it stand for a few minutes and I can’t be sure if it was necessary. In a separate bowl whisk together the applesauce, egg and vanilla. Add in the bran/milk mixture and stir to combine. Sift together the remaining dry ingredients directly into the bowl. Toss the blueberries in the flour and gently add them into the batter. Fill the mini cupcake wrappers about 2/3 – 3/4 of the way full (because muffin tops are the best part) and bake for 12-15 minutes. A nice little after dinner treat and delicious when crumbled into yogurt. I may try these with buttermilk! We have a container I need to use up. Also, your blog is really short on cats these days. Just saying. Tell our cats to be cuter, they've been slacking lately!